To gain some simulated instrument time I planned a hop with a CFII that I knew using his Cherokee 180. We departed the class D airspace to practice approaches at another towered field 20 miles to the South. The aircraft was quite unfamiliar. Instruments were laid out much differently. Trim was provided by an overhead crank and there was a push button starter. 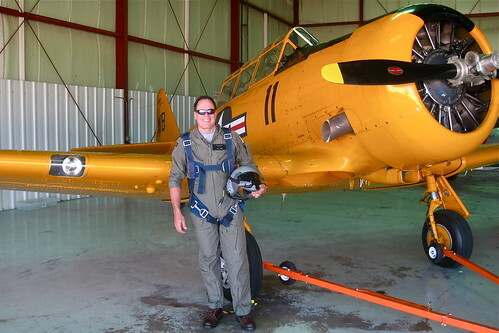 It was an older plane, reliable but not fuel injected, and included a primer and carburetor heat control. As has been said: “The devil’s in the details” so I try to follow checklists carefully. The run up and departure were uneventful as ATC steered us to the southwest. Soon, I received the anticipated vectors for ILS 9 while still at 3,000 feet. I captured the localizer just as Center cleared us for the approach with a rapid-fire set of instructions and a quick hand off to the tower. Down we go, descending quickly enough to intercept the glideslope before the final approach fix. I pitch down and retard the engine to get us into position. The glideslope needle begins to come alive on the CDI and I slow the decent only to find that I’ve reduced power a bit too much. To bring it back on track I ease the throttle forward. The engine starts to cough and sputter. A little more throttle and it seems to be dying with an increasing sink rate. While I’m grateful not to be in IMC, I’m not exactly happy to be in this plane in sunny weather either. Expectations are immediately downgraded from precision approach to a survivable one. I request permission to land, advising the tower that we’re having a little engine trouble. After switching on the boost pump, checking the fuel selector, Mixture, carb heat and magnetos I resigned myself to best glide with the engine below 1,000 rpm. It still sounded ominous but it was running. Sort of. Finally, I could see we’d make the threshold. I plopped it down and the engine provided sufficient power to taxi to one of the general parking areas. After cutting the mixture and flipping off the master switch, I did what most people do with any troublesome engine. Pop open the hood (in this case the cowl) and peer inside hoping for the obvious. Mechanic’s wrench, loose fittings, dead squirrel. Nothing. It looked fine. We tried another engine start but still had low RPM. Frankly, unless it ran really great, I’d just as soon leave it. There’s snow on the ground, it’s cold and an off airport landing in the middle of nowhere is just not inviting. Once more I get in the left seat but this time, I stopped at the line item that said “Primer-In and locked”. Looking down, I noticed it was not all the way in. After locking it, I hit the starter and presto. Ran like a top. In aviation, there are many ways to screw up. Some big. Some small. The little goofs are just as lethal as the spectacularly idiotic ones. I had pushed on the primer to verify it was in. I should have pulled on it to make certain it was locked. Rookie mistake. Important enough that the FAA included it in this advisory circular. If the primer pump handle is not locked in the closed position, raw fuel will continue to be drawn into the cylinders by the suction created in the affected cylinders during the intake cycle. The engine will run rough at low RPM, mimicking magneto problems. The Really Cool Solution is FADEC – (full authority digital engine control) which I’ve greatly enjoyed flying in a much newer plane. It replaces magnetos, carburetor and mixture controls. Each engine cylinder is independently adjusted for optimum injection and timing. There is no primer. Later model aircraft all have fuel injection. Nevertheless, it wasn’t the planes fault. It was mine. It could have been worse. This Air tractor , N3654T, collided with terrain and a fence during a forced landing in Minnesota. The pilot was spraying a field at an altitude of 5 to 10 feet AGL, when the engine ran rough, stopped, started, then stopped again. Post accident inspection of the airplane revealed the fuel primer control knob was not locked and it had backed out. It would be comforting to have the “Martin-Baker” option or at least the BRS (full frame parachute) available as a last resort. Hopefully, others will learn from my misadventures. “Learn from others mistakes-you’ll never live long enough to make them all yourself”. I hope to have fewer exciting things to report going forward. That is a very important tip. I was taught from day one to tug on the primer to check it is locked in without necessarily the importance of it, and it is now a habit I’m glad of. There’s a reason for everything on the checklist. What I didn’t know (nor did the CFII) was the failure mode and effects. A locked primer seems like a good thing-keeping it stowed and out of the way. I’m not sure most folks know how critical it is to keep it from pushing it’s way back out. Another deposit into the bag of experience.